In your first instance, it is unlikely that you will figure out a web hosting service that is both cheap & reliable. It takes time and experience for a person to start realizing the benefits of online marketing. An interaction with long-time online entrepreneurs will make you realize that success in online marketing does not occur overnight as is sometimes described in some articles. To get the results you desire, you need to analyze, tweak and finally implement new things. You should keep in mind that the home or office in online marketing is your website and you should thus spend good time on the website. There are so many web hosting companies, an aspect that has led to stiff competition between these companies leading to low costs. All the same, it is not an easy task differentiating between cheap web hosting companies and those that are costly. Take, for instance an operator offering 100MB disk-space at $2 and another offering 500MB at $8. Which operator among this two is cheap? It is definite that the second operator is reliable and cost-effective because he is providing more space. When looking for a company you can rely on for efficiency in web hosting, uptime guarantee is very essential. Companies that offer 99.99 per cent uptime guarantee are more reliable. If you want your server to be down/low for one or two hours on a monthly basis, go for web hosting companies whose uptime guarantee is questionable. Avoid choosing web hosting companies that offer their services at absolutely no cost. Remember cheap is expensive. Such companies offering services have a very big disadvantage of very limited services to subscribers. To get the most reliable web hosting company, consider its features. Such features include disc space, the counts of its email account and programming languages among other essential features. There are companies that offer such services as domain hosting & the building of free sites. When looking for a reliable service provider, ask yourself; will the company offer a twenty-hour customer support? There are companies which are available to respond to your needs all day and night rectifying your problems. Those that are genuine in serving their customers even go further providing chat facilities so that customers can contact them without delay in case of emergencies that need rectification. Such are the web hosting companies that you should seek for when building a website for your business. You will realize that very few companies provide such customer-friendly services out of the many that exist. You can as well use terms and conditions set by a company to measure its reliability. 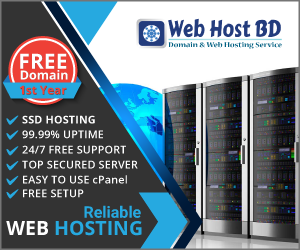 There are web hosting companies that offer a 30-day trial. You should use of this trial period in testing the hosting company’s ability. Other companies offer test services for a period of one month at some fee. This can help you in identifying a reliable service provider. Only consider service providers offering best uptime. In all your efforts to pick a good hosting company, be careful not to compromise on reliability at the expense of cost. With the above mentioned tips, choosing the best from the clutter is quite simple.